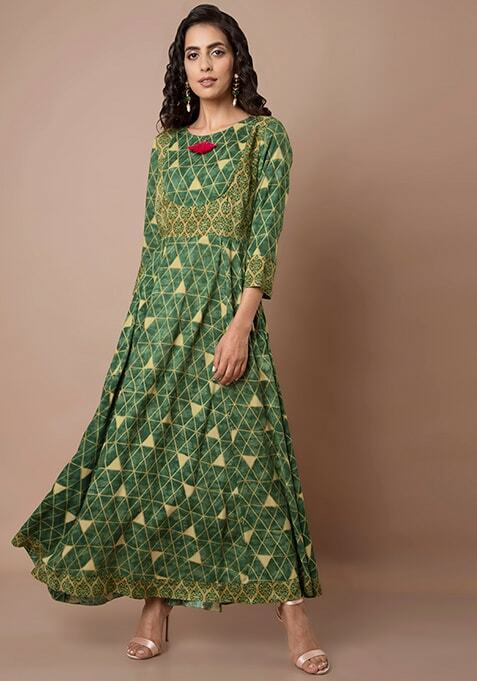 Make your ethnic wardrobe richer with this green tunic that has a stylized yoke. Features printed bodice and tassel on the neckline. Work It: Pair it with leggings and Kolhapur chappals to get a complete look.